Jack Frost is starting to nip at our noses, ladies and gents, and yuletide is almost here. It's just about time to get into the spirit of the holidays. Wondering what to give your tech aficionado friends and family this year? Gear-related goodies will get those eyes all aglow, but take a pass on the novelty accessories that will probably get used once before they end up as dust-catchers. Cyberspace is a treasure trove of incredibly useful devices that make for awesome gifts. Don't worry; you need not shell out big bucks. You'll find plenty of handy tech gadgets — from trendy power banks and Bluetooth headphones to trackers and phone camera remotes — for under $50. While most power banks you'll find in shops or at the malls have limited power and aren't solidly built, heavy-duty power banks do exist. Take RAVPower's multi-charge, dual-USB-port power bank, for example. Though not a household name, the brand is a big hit with Amazon buyers for its durability and charging power. This power bank holds 22000mAh when fully charged, giving iPhone users about five charges and Android users about three. It boasts three USB ports, each with an output of 2.4A for three simultaneous charges. It also comes with a protector pouch and a free 18-month warranty. 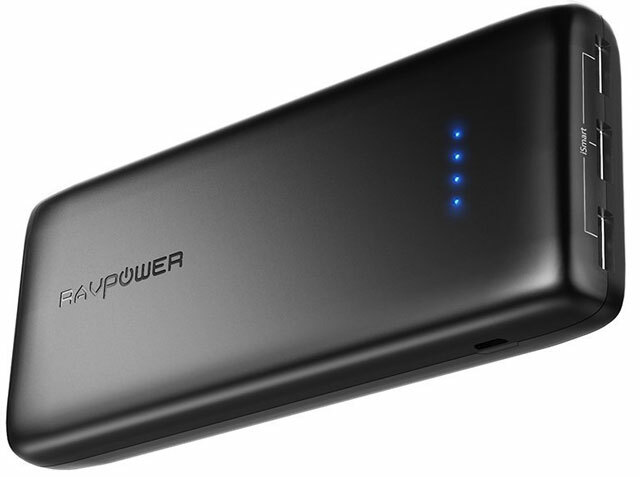 RAVPower's 22000mAh 3-USB power bank is one of the best and most powerful ones on the market. At $38 on Amazon, it's also a total bargain. If you're only using the tiny Tile tracker to find your car keys, then you're not using this nifty little device to its full potential. 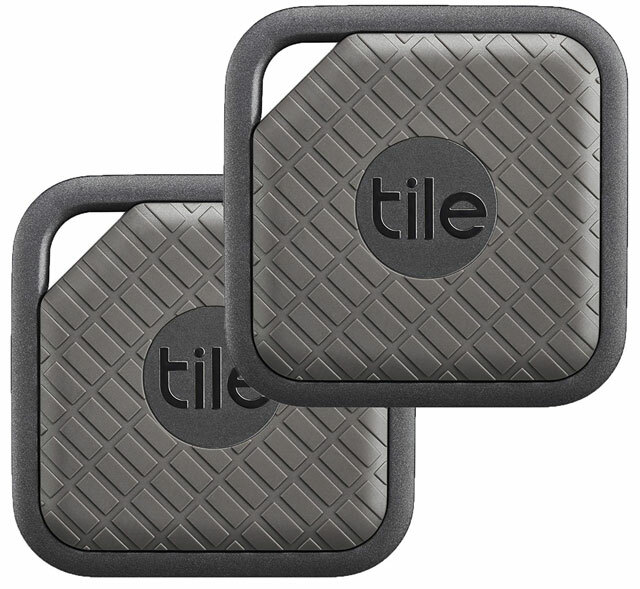 Tile's Sport Bluetooth tracker, which retails at $35, is small, thin, waterproof and super-effective. It lets users track anything it's connected to — from keys, wallets and remotes to phones, tablets and e-readers, portable consoles and even digital cameras — within a 200-foot range. And the Tile can be used in turn to track a misplaced phone it’s paired to. Beyond 200 feet, Tile's community of users will take care of the tracking, acting like a search party and sending an instant notification as soon as the lost device has been detected. Here's a fancy little gadget your loved ones won't know they needed until they start using it. 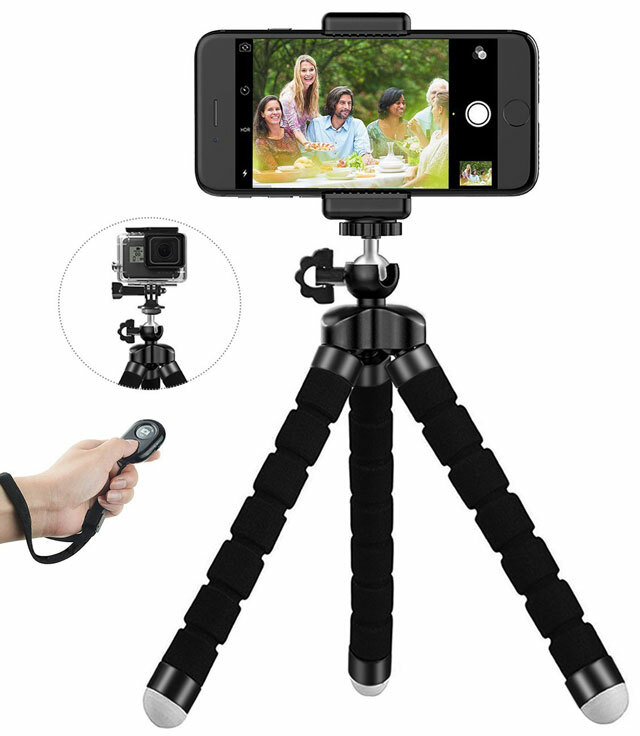 Make your selfie-loving loved ones happy with this inexpensive yet incredibly useful phone tripod and wireless phone camera remote set. Chinese-owned LONENESSL is known for its functional bargain-basement camera accessories, and this tripod set is certainly worth a look. The set's centerpiece is a small, flexible tripod that can be bent and positioned any way you want. It's ideal for many different shooting scenarios — from selfies with friends to low-light situations. Since it's light and compact, it's also perfect for travel photography, from city tour mementos to epic backpacking or mountain climbing snaps. A Bluetooth shutter remote lets you control your phone's camera feature within 30 feet with just a click of a button. A universal mount suitable for different phone models, a GoPro mount and a soft pouch to put it all in round out the set. At less than $11, you're getting a ton of bang for your buck. You don't have to spend a few hundred dollars for a set of studio lights for your favorite phone photographer. With 36 long-lasting LED bulbs fitted into a tiny, 3-inch device, Auxiwa's ring flash produces flattering light for different shooting needs, whether it's photographing food or products, shooting a video, or simply taking selfies. The light is compact and lightweight so they can take it anywhere, whether to a nice dinner or on a hike up the mountains. It also has a universal clamp with a silicon rubber bumper, making it compatible with not just smartphones but also tablets and computers. And it boasts three brightness settings to choose from for different shooting scenarios. Best of all, it comes with a rechargeable battery so it can be charged on the go. 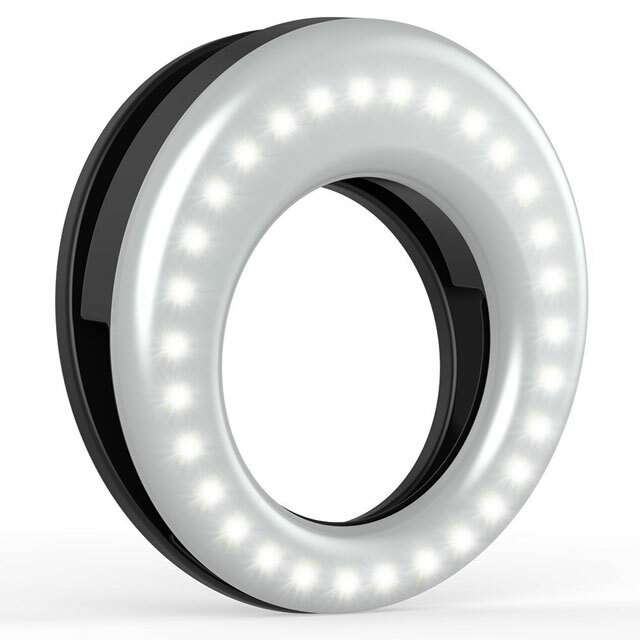 Auxiwa's clip-on light is just the ticket for photogenic vids and snaps. And since it'll set you back only $13, you can even go for the trifecta with the LONENESSL digital cam phone tripod set (above) and a noise-canceling mic. Half the price of the Amazon Echo, little sister Echo Dot 2nd Gen packs a lot of punch for an adorable, compact device. This hands-free gadget offers a plethora of functions, from playing music and reading messages on command to ordering food, requesting an Uber and even controlling home appliances. 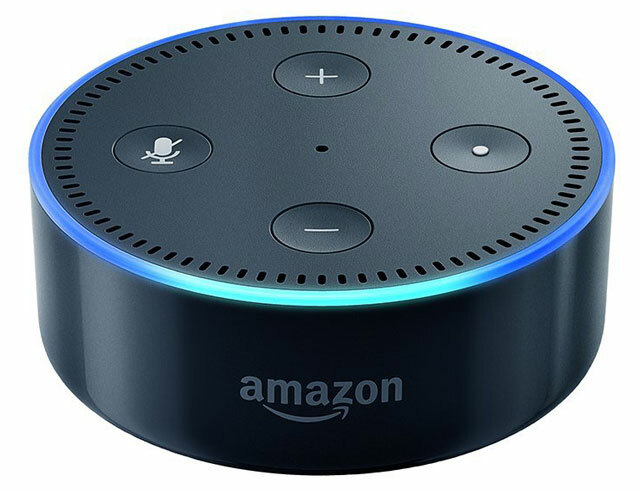 Using Amazon's cloud-based voice system, Alexa, the Echo Dot "hears" voice commands from across the room with seven far-field microphones and executes those commands accordingly. It has a built-in speaker so Alexa can "talk" to you, and connects to more powerful speakers using a stereo cable, Bluetooth or WiFi when you want to listen to music. It's also the gateway device to having a dream smart home as it's compatible with many smart home devices, from lights and locks to television sets and thermostats. For just under $50, it's almost like giving your favorite tech fan their very own personal assistant. Here's a sensible option for families and close friends: Philips' Sonicare 2 electric toothbrush, designed for plaque removal, is one of the best reviewed on the market, and not just because it delivers 31,000 brush strokes a minute like its more expensive competitors. It boasts several extra features, like "easy-start," which starts electric brushing newbies off at a lower power and then slowing increases over the first 14 uses; the "smartimer," which shuts down the unit after the recommended two minutes of brushing; a rechargeable battery that lasts for two weeks at full charge; and a 100-240V charger. The package includes one ProResults brush head. This unit promises excellent teeth-cleaning capabilities (according to its packaging, it removes six times more plaque than a manual brush) as well as durability at a fraction of the cost of other electric toothbrushes. You might just change someone's life with this gift. Roku's Streaming Stick, at just under $50, is one of the most economical, trusted streaming devices out there, making it a great gift idea for film buffs and TV show addicts. This tiny little device offers a lot of bounce for your ounce, with access to all the essential streaming channels and services like Neflix, Hulu, Amazon Instant Video, HBO Now and Showtime alongside a few hundred more channels and music streaming services. All that in a tiny package that takes up little space — and at half the price of a Roku Ultra. Best of all, the remote control boasts an enhanced voice search feature and can be used to control TV volume and power your TV on and off. The Roku Streaming Stick would make a terrific gift for anyone who wants to comfortably binge-watch their favorite shows and the latest flicks. While any tech and music junkie will appreciate the many hours of deep bass audio that TaoTronic's over-ear wireless headphones deliver, you'll appreciate its price even more. Here's a great and surprisingly affordable stocking stuffer, especially considering all of its features. This pair boasts a whole lot more than you'd expect from $40 headphones. It starts, of course, with the unit's glorious and immersive audio quality, its noise-cancelling function and its excellent battery longevity of 25 hours, after only two hours of charging. Other awesome features include memory foam pads, swiveling ear cups, an adjustable headband, on-ear controls and a foldable design, all of which are more typical of a $150 pair. 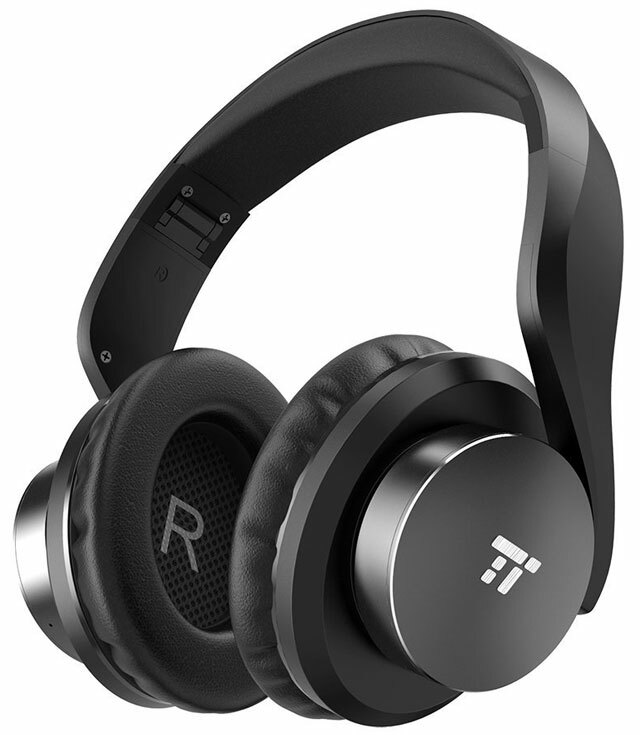 The TaoTronics headphones come with a carrying case, a 3.5mm audio cable and a USB cable. You're definitely more than getting a bargain. Smart home devices are not just the rage these days — increasingly, they're a matter of not just convenience but necessity. But you don't have to spend thousands of dollars to smart-accessorize your home. 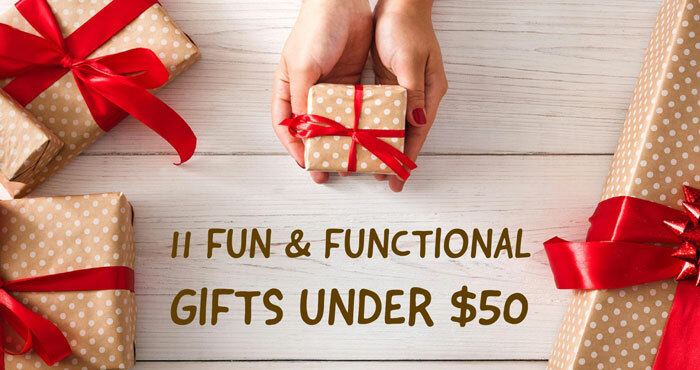 You can start off with a few affordable yet surprisingly essential items that also make excellent gifts. 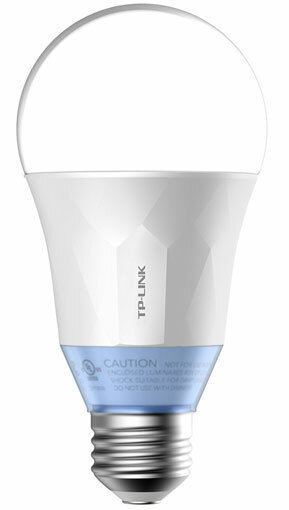 Take TP-Link's Smart LED light bulb, for example. Though you might not think that something as simple as a light bulb could improve your life, this one actually can. Users can fine-tune its light settings with just the touch of a finger on an app, making it a brilliant gift for tech fans and anyone who likes a little convenience. Among its many amazing features are a dimmer, light temperature tuning (warm at night to encourage sleep, bright white in the daytime to boost wakefulness), an energy saver, a timer, and compatibility with Alexa, Google Assistant and other smart home systems. Best of all, it works with any WiFi router so it doesn't need a hub. Imagine never having to get out of bed to turn off/on the lights ever again. 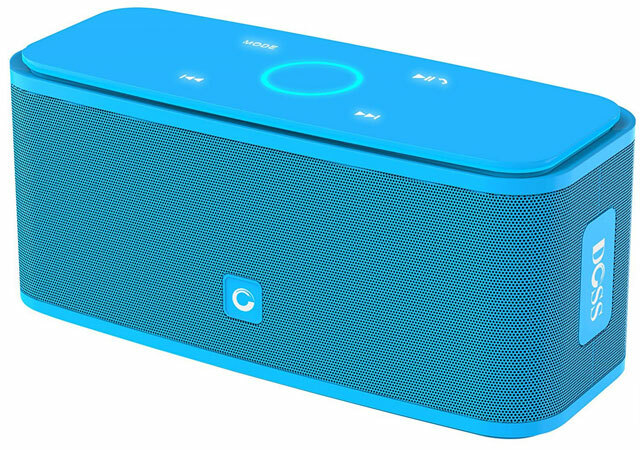 Whether for a day at the beach, a camping trip, an epic snow tubing adventure or a small holiday get together, Bluetooth speakers are some of the simplest yet most useful portable devices out there. No tech gift guide would be complete without one. There are a number of good ones to choose from, but Doss' V4.0 model delivers superior high-definition, 360-degree stereo sound with enhanced bass and excellent clarity, sans either the distortion that normally comes with small speakers at high volumes or the hefty price tag. And while it connects to different devices through Bluetooth for convenience, it has an auxiliary input as well as a micro SD card slot so you don't drain your device battery. It also boasts sensitive touch controls for easy navigation as well as 12 hours of playtime in just three to four hours of charging. Plus, it comes in four different colors. Not too shabby for a speaker that comes in at under $35. 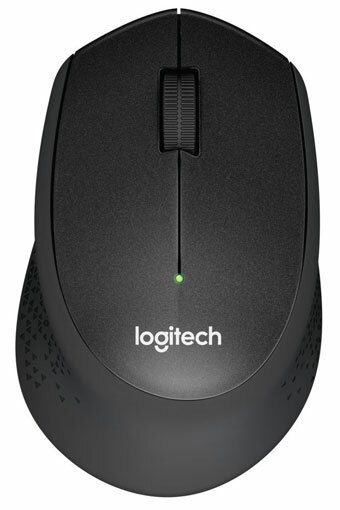 Rounding out our guide to holiday gifts under $50 is Logitech's receiver silent mouse. It's the perfect stocking stuffer for the netheads, gamers and mouse potatoes in the family. Retailing at $15 on Amazon, this ultra-quiet, long-range wireless mouse is the most economical everyday-use item on this list, and it works on both Mac and Windows operating systems. It can be used up to 33 feet away from the computer, making this mouse an ideal gift for those who need to make presentations as well as for media center PC users. Its silent feature is great for avid gamers or people who share office space. Also worthy of a mention are auto-sleep for battery conservation and advanced optical tracking for smooth movements on any surface.